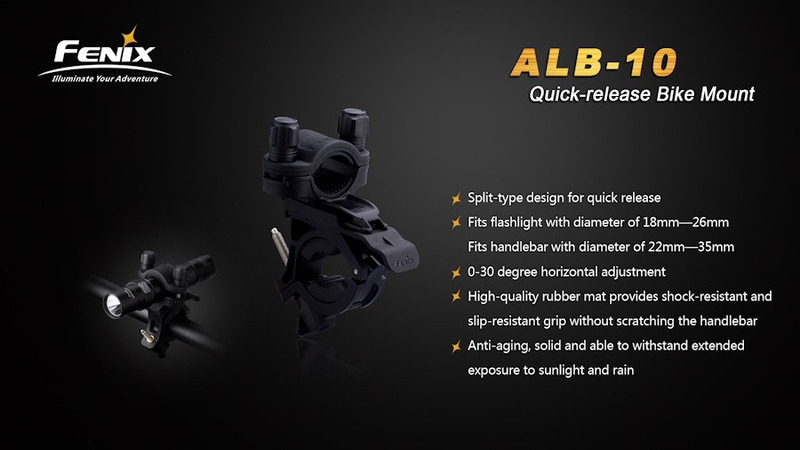 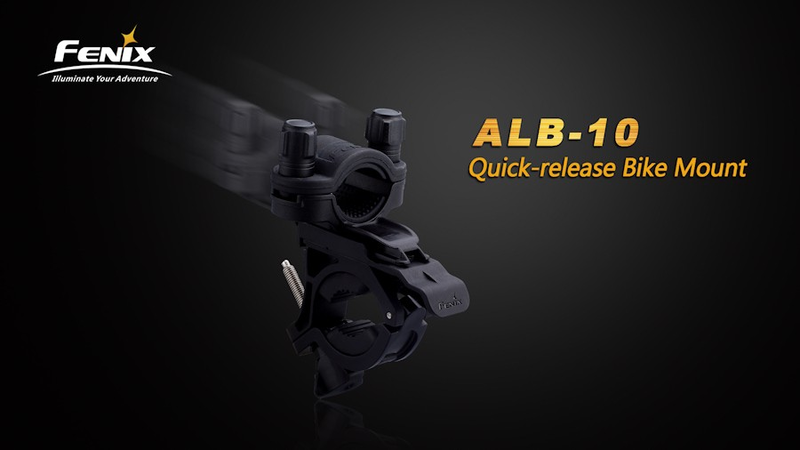 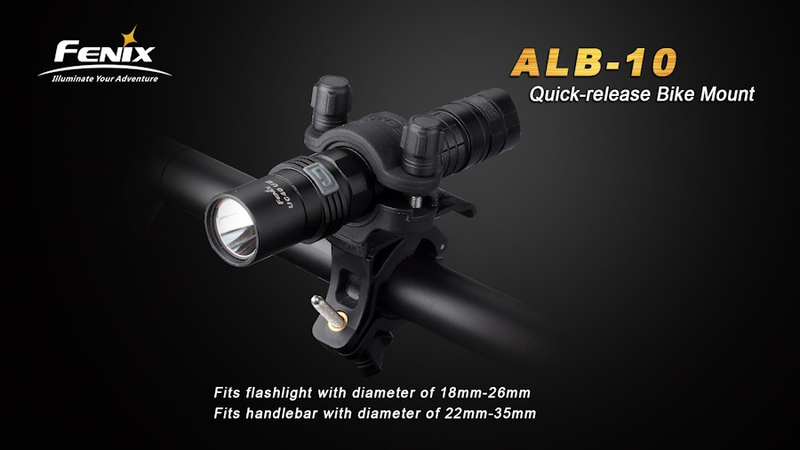 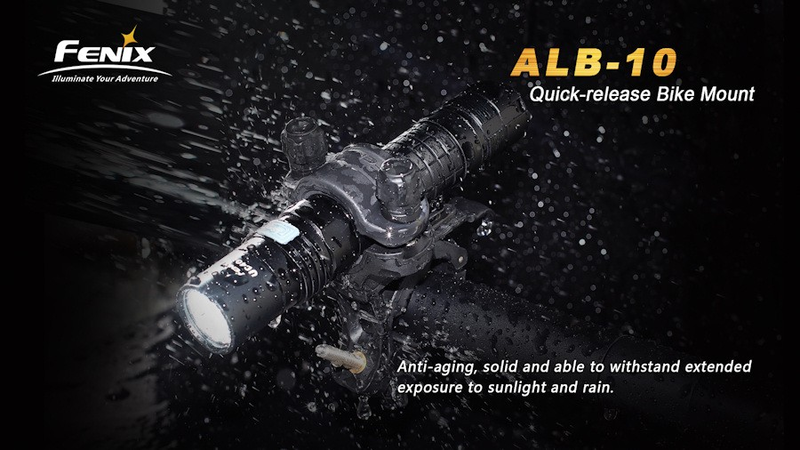 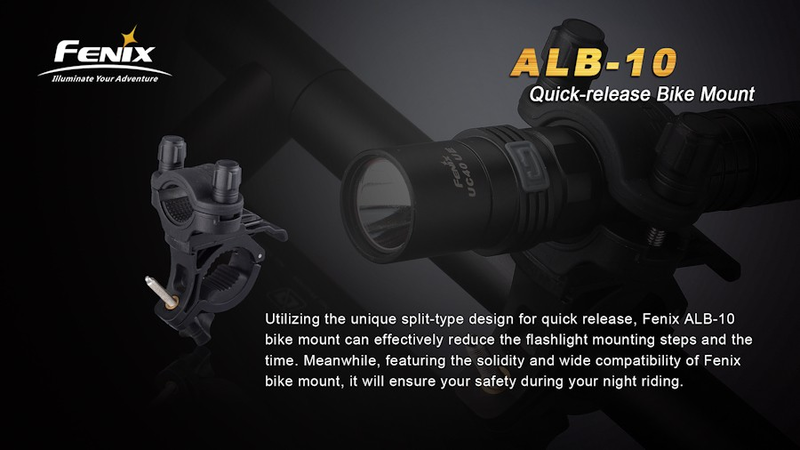 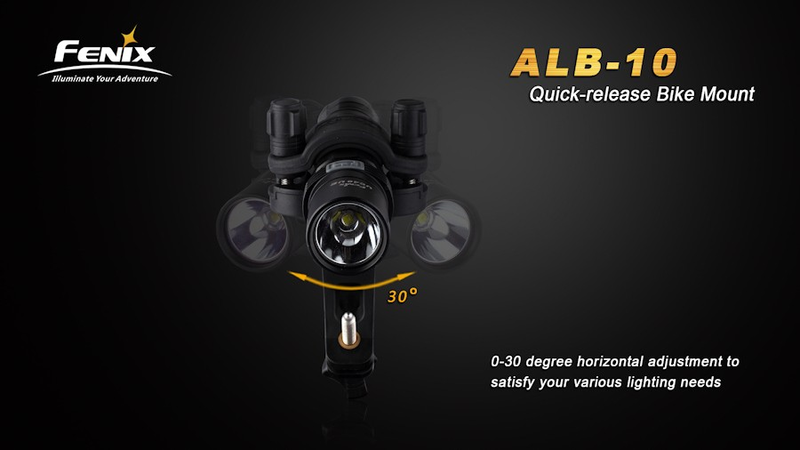 Fenix ARB-L10 is a versatile quick release mount which enables the fitting of a flashlight to your bike handlebars. 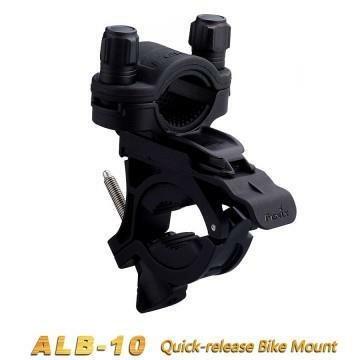 Your Fenix bike mount will be carefully packaged and dispatched by Royal Mail 1st class post. 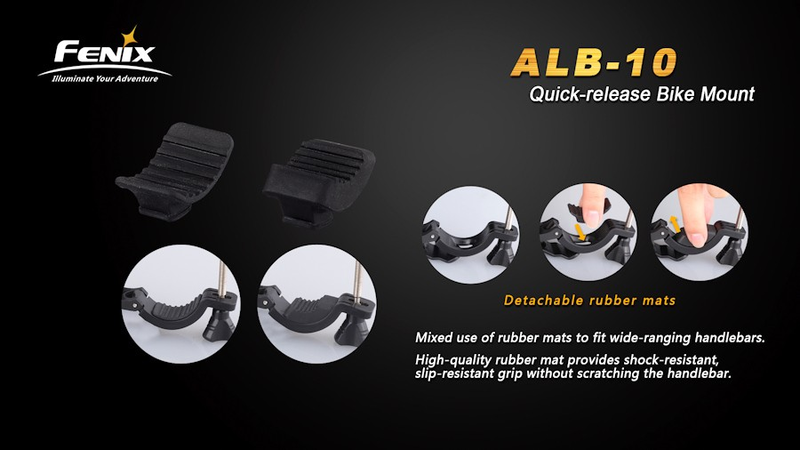 Allow 1 to 2 working days for UK delivery. 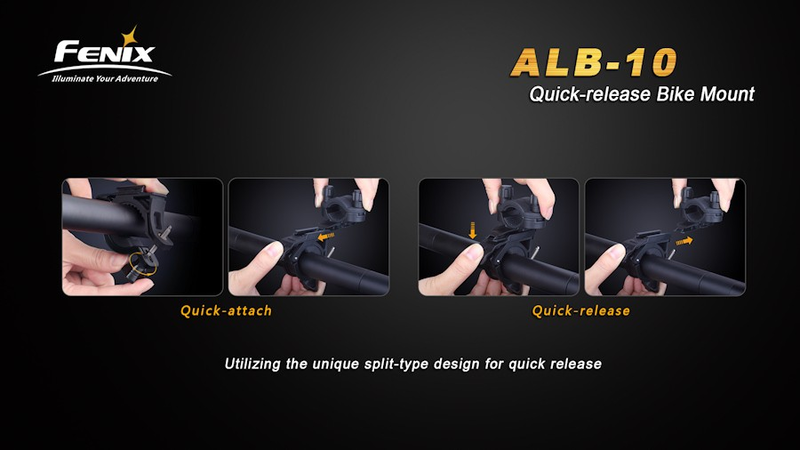 For shipping to other European and Worldwide countries this item with packaging weighs just 132 grams, please to delivery costs for prices.